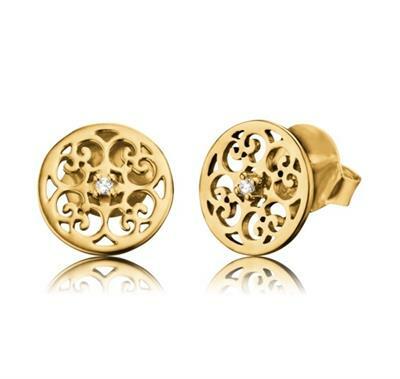 These dazzling stud earrings are part of the Engelsrufer collection. Each earring features white Cubic Zirconia stones set on Gold-Plated 925 Sterling Silver, with a delicate filigree design. Wear these studs with your Angel Whisperer necklace for a fabulous set. Each earring is approximately 13mm.